Exfoliating facial milk with micro nutshell particles, that provides an anti-aging effect to achieve a healthier and more radiant skin. Exfoliating facial milk with micro nutshell particles, that provides an anti-aging effect to achieve a healthier and more radiant skin. 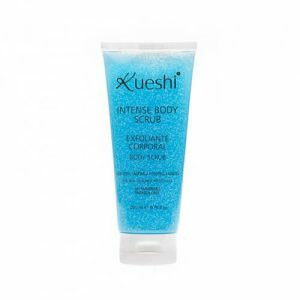 Exfoliates gently to improve skin softness, smoothness and moisture, achieving greater flexibility. Eliminates dry cells of the skin and daily impurities. Helps reduce the appearance of fine lines due to the combination of regenerative and moisturizing oils. How to use: Apply with gentle massage on wet skin. Use twice weekly or as needed. 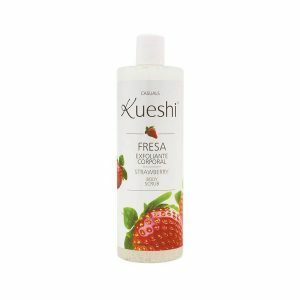 Ingredients: Aqua,Ethylhexyl Palmitate, Isononyl Isononanoate, Glycerin, Polyglyceryl-3 Dicitrate/Srearate, Theobroma Cacao Seed Butter, Prunus Amygdalus Dulcis Oil, Triticum Vulgare Germ Oil, Juglans Regia Shell Powdre, Stearyl Alcohol, Tocophery Acetate, Phenoxyethanol, Ethykhexyglycerin, Xanthan Gum, Disodium Edta, Sodium Hidroxide.